Fundraising on the capital market will be simplified for issuers. On 4 July 2018 the Austrian national chamber of the parliament has voted to approve a federal law that will significantly amend the Austrian Capital Markets (CMA) and the Austrian Alternative Financing Act (AFA). The law has been confirmed by the federal chamber of the Austrian parliament and is expected to enter into force still in July 2018. The key element of the legislation is the consolidation of the AFA with the CMA. It will no longer be distinguished between the issuance of securities and investments under the CMA on the one hand and the issuance of alternative financial instruments on the other hand. The AFA will in future apply to the issuance of securities and investments under reliance on an exemption from prospectus requirements under the CMA. The simplified framework will no longer solely apply to small and medium-sized enterprises (SMEs) that are required to use funds directly for their operational expenses. Rather all sorts of issuers (including licensed entities) will be able to make use of the simplified rules. The new exemption will allow securities to be issued without the need to prepare a prospectus if the total amount of each issuance does not reach EUR 2 mn. This, however, does not mean that such issuances will be unregulated – issuers will need to prepare a key information document (KID) according to the rules laid down in the AFA that will disclose essential information to investors. Still, the burden to prepare a (simplified) prospectus and (with respect to securities) get the prospectus approved by the regulator (FMA) will be lifted – which should help reduce costs for issuers. the aggregate amount of all securities issued pursuant to the AFA may not exceed EUR 5 mn over a 12 month’s period. 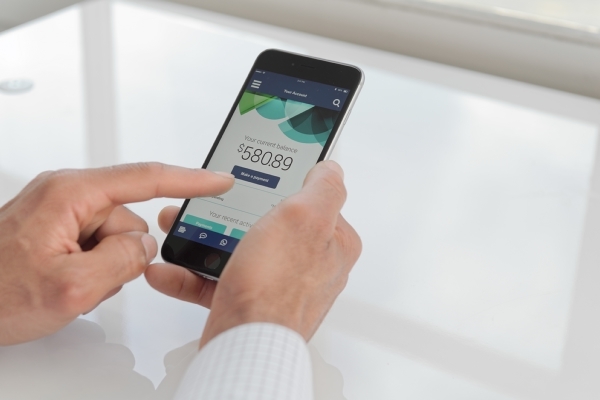 Issuers of securities are not bound to rely on the simplified rules. They may continue to prepare a full EU securities prospectus (e.g. when this be beneficial for placement of the securities or the like or passporting of the prospectus is intended); in this case, the rules of the AFA will not apply to such issuances. These amendments are greatly appreciated given the rather complex nature of the existing legislation that ultimately resulted in legal uncertainty for certain issuers. However, the drawback is that the legislator has still not made use of the maximum range of easements for issuer permitted under the European Union framework legislation. The Prospectus Regulation would allow for Member States to exempt from prospectus requirements all issuances up to an aggregate value in the Union of EUR 8 mn (within a 12 month’ period). In Austria, the relevant threshold continues to remain at the EUR 5 mn level. 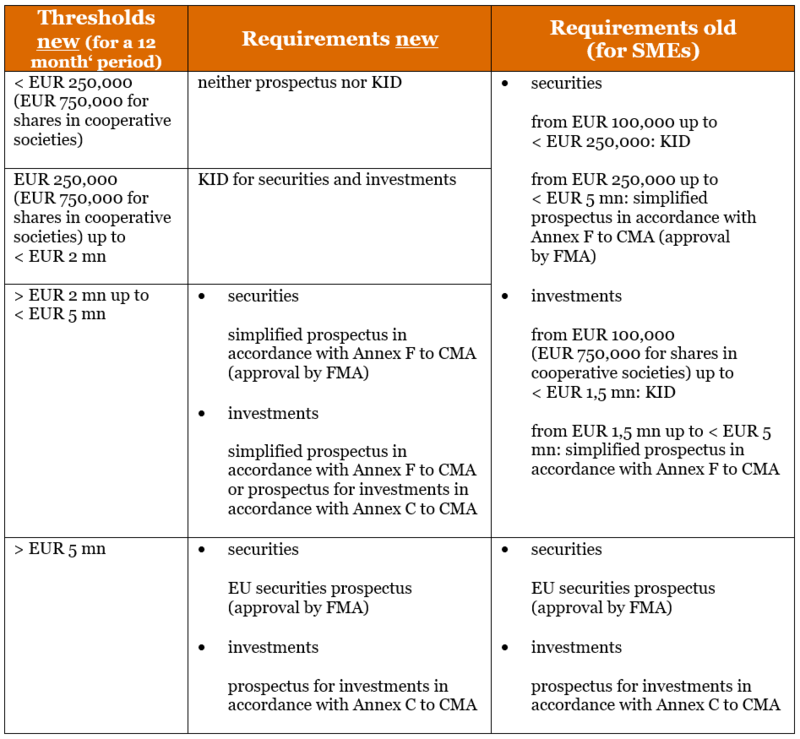 Exemptions from full EU prospectus requirements will only apply to issuances up to EUR 5 mn despite the new easements.